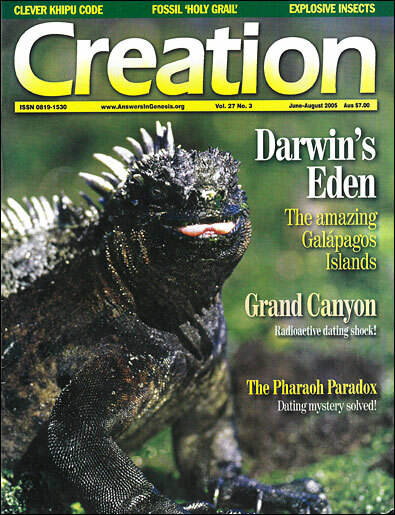 Articles like this which originally appeared in Creation magazine can become outdated from further information, or at least necessitate further reading for appropriate balance. Readers with a particular interest in the subject material are thus encouraged to make use of the ‘Related Articles’ links at the bottom of the article. 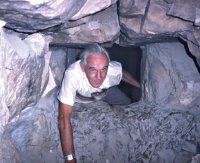 A couple of years ago, archaeologist David Down (pictured below) was excavating among a semi-circle of ancient stones in Israel when he heard a scream. Reeling around, he saw one of his volunteers with her leg disappearing down a hole. 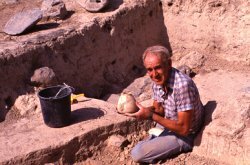 David has been digging at archaeological sites in the Middle East for about 20 years, so he was well able to handle the situation. David has made many discoveries about the reliability of the Bible. Recently, he wrote a ground-breaking book about the pharaohs of the Bible,1 connecting Egyptian archaeology with biblical chronology. In true archaeological fashion, David was soon lowering himself through the opening into a dark, clammy tomb. A sprightly 86 years old, David digs with the best of them. At home, he still plays tennis three mornings a week before starting his work. David also edits Archaeological Diggings,1 a full-colour bi-monthly magazine of ancient history and archaeology. ‘Mine is one archaeological magazine that supports the Bible’, David explained. David’s passion for archaeology started when his uncle asked him to a public meeting in Melbourne, Australia, during World War II. So David went to the public library and, sure enough, Babylon and Medo-Persia were there! His interest was aroused. He attended the other lectures; through these, he was converted to faith in Jesus Christ. His opportunity came in 1958 at the end of his first term as a missionary in India. Instead of returning home to Australia, he journeyed by car and caravan to the Bible lands. They were seven and a half months on that journey but by the time he got home David was already planning the next tour! In those days, the popular opinion among Christians was that archaeology proved the Bible true. However, most did not realize that by the 1960s, the secular archaeologists were telling a story that conflicted with the Bible. David discovered this when he was teaching archaeology at a Christian college in Australia. The same is true in geology. 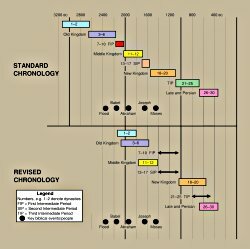 See Walker, T., The way it really is: little-known facts about radiometric dating, Creation 24(4):20–23, 2002. Another problem David discovered involved King Solomon. Archaeologists don’t find a period of affluence at the time Solomon was supposed to live. Instead, they find poverty. Then one day he discovered The Exodus Problem and Its Ramifications by Dr Donovan Courville. This book pointed out that the chronology of Egypt needed to be reduced. ‘It was like turning the light on’, David beamed. ‘I could see that was the answer!’ From then on, he became a dedicated devotee of the ‘revised chronology’ of Egypt. Like Israel, the archaeology of the Hittites has no chronology of its own. There are a number of synchronisms between the Hittites and Egypt, so Hittite dates are assigned on the basis of Egyptian chronology. However, you have a third member of a triangle, the Assyrians. But the problem gets worse. ‘When I visited Hittite sites in Turkey last year, I could see it in the artefacts. Here is one artefact from the Old Kingdom and another from the later period. But they’re exactly the same. We all know that artefacts change because styles change. But these artefacts were the same. One was dated by its connection with Egypt and the other 500 years later by its connection with Assyria. Archaeologists know about these problems but they like to keep them buried. But to David Down the issues are exciting because the biblically revised chronology (see main text) solves the problems. ‘No archaeologist will deny that some dynasties are contemporary. In fact, there’s one place in the Third Intermediate Period where even Kenneth Kitchen, the biggest authority on the period, recognizes that there were four dynasties ruling at the same time. David also finds lots of evidence for Joseph, who lived at the time of Sesostris I. ‘He was a decent pharaoh’, David mused. ‘You can see his statue in the Cairo Museum—nice-looking chap. David is not alone in archaeological circles in saying that the standard Egyptian chronology needs drastic revision. For example, he mentions David Rohl, who wrote a book called Test of Time (USA title: Pharaohs and Kings). He recalls the apprehension he felt when writing his latest book, which interprets the history of Egypt within the new framework. ‘I knew the standard chronology was wrong, but initially I didn’t dare try to put the pharaohs in the right place. 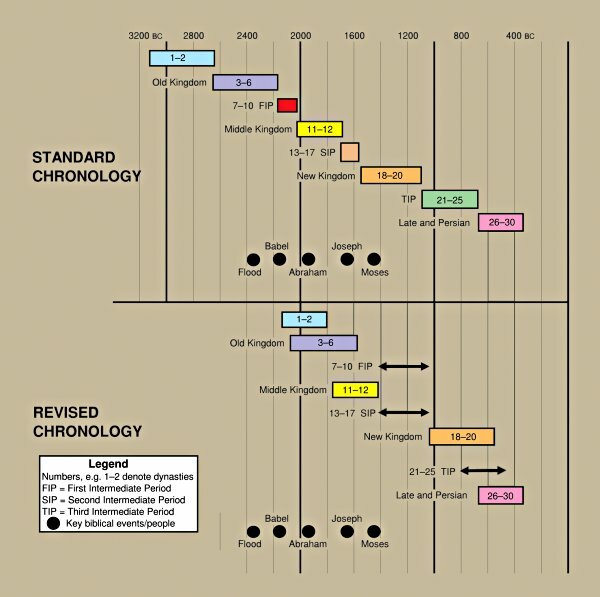 The standard Egyptian chronology extends beyond 3000 BC. This requires that Noah’s global Flood occurred during the Old Kingdom. Also, Joseph is placed in Egypt during the Second Intermediate Period but there is no sign of him then. And Moses is placed in Egypt in the New Kingdom but the devastating plagues and the destruction of Pharaoh and his army in the Red Sea had no effect on the grandeur of that kingdom. By recognizing contemporary dynasties, the revised chronology dramatically collapses the timescale and harmonizes with biblical chronology. The First Intermediate Period is the same as the Second Intermediate Period and corresponds to the time of Joshua and Judges. The Third Intermediate Period also disappears, its kings matching with kings of the New Kingdom and the Late and Persian Periods. Thus, Egypt was settled after the Flood and after the dispersion at Babel (by descendants of Mizraim, Genesis 10:6, from which we get Misr, the present Egyptian name for Egypt). Abraham visited Egypt during the Old Kingdom and Joseph was in Egypt during the Middle Kingdom. The Exodus of Israel from Egypt overturned the Middle Kingdom and brought a period of desolation across the once majestic land. See also David’s article, Searching for Moses, Journal of Creation 15(1):53–57, 2001. See also Mackey, D.F., Fall of the Sothic Theory: Egyptian chronology revisited, Journal of Creation 17(3):70–73, 2003; based on his M.A. thesis from the University of Sydney in Australia.